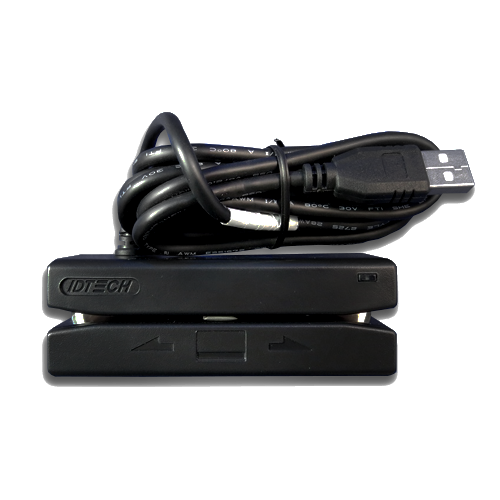 he IDTech SecureMag is a 100 mm magnetic stripe card reader that offers retailers a complete and reliable security solution. This intelligent reader delivers superior reading performance while encrypting sensitive data that complies with PCI-DSS requirements. The SecureMag ensures all data transactions are protected from end to end reducing fraud and data compromises. Data encryption prevents card holder information from being accessed when data is stored or in transit. It also allows customers the flexibility to choose a decryption party right for them. The SecureMag supports TDES and AES data encryption using DUKPT key management. Each SecureMag card reader is assigned a unique serial number for tracking purposes. SecureMag has several operational security levels allowing the user to select the security profile needed for the application.